The Duchess of Cornwall's impressive collection of Van Cleef & Arpels jewelry has grown once again. 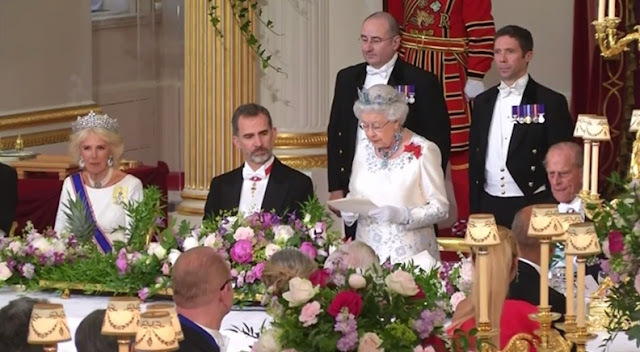 For the Spanish state visit, she debuted a pair of the maison's Snowflake Earrings, a part of their Snowflake High Jewelry collection inspired by (what else?) flakes of snow. 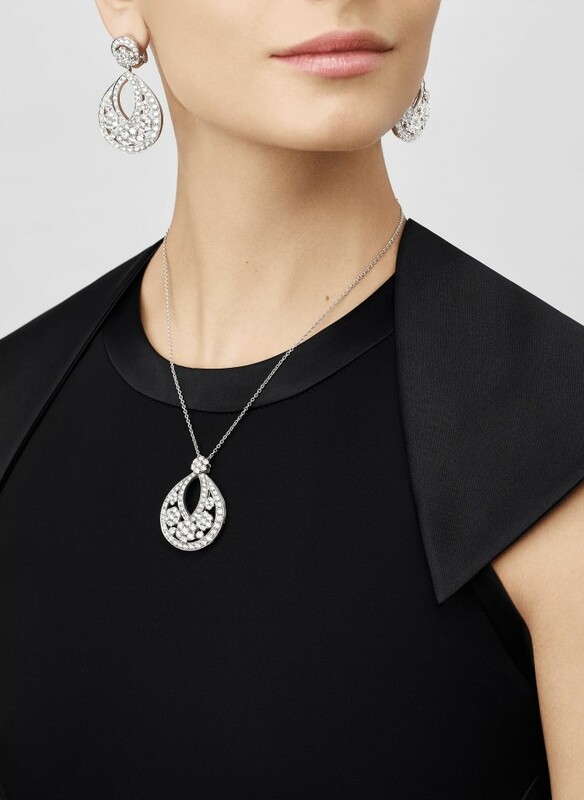 The earrings come in large and small sizes; The Duchess of Cornwall has the large model. 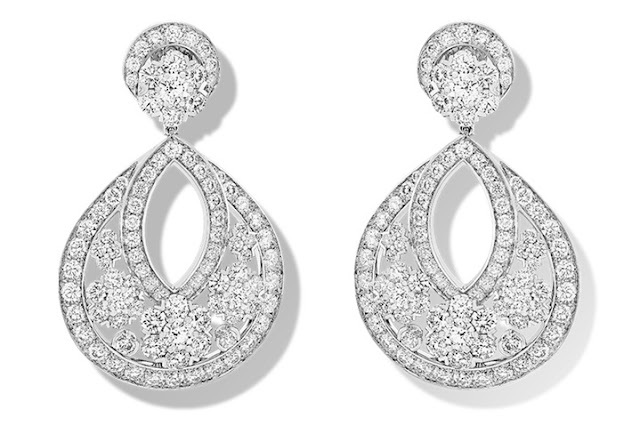 These earrings are made of round diamonds in platinum and white gold. They have 190 stones and weigh in at approximately 13.73 carats. Van Cleef & Arpels lists their retail price at $138,000; Luxury Exchange has a pair for sale at $82,645. As with most of Camilla's VC&A items, provenance is unconfirmed but I assume they were acquired by either Camilla herself or by The Prince of Wales. What we do know is that these sparkled like mad in action - which is a wonderful surprise when it comes to The Duchess of Cornwall, whose hair often hides the earrings below. They're a great fit for her. In 2018, The Duchess debuted a matching necklace. It is the Pendant with Snowflake chain; this also comes in large and small models, and Camilla has the large model. 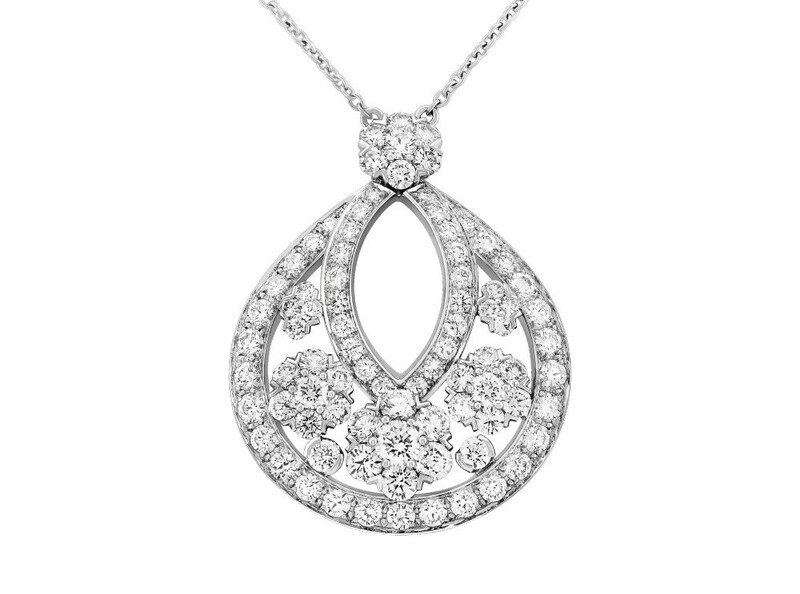 Made with 85 round diamonds totaling approximately 6.05 carats, and platinum, the necklace retails for $71,000.